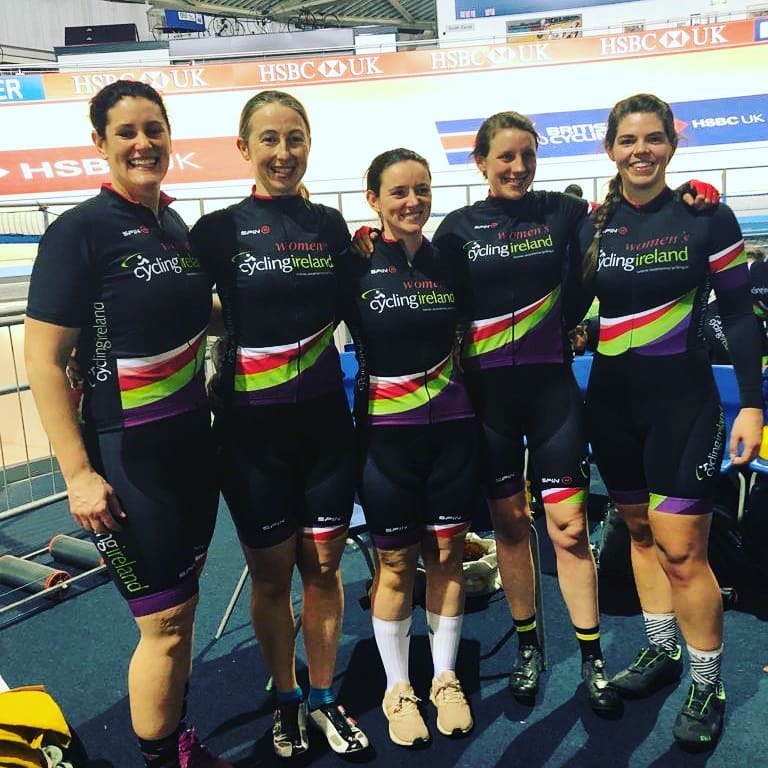 We had five Sundrive ladies racing in the Manchester ACT International Women's Omnium as part of a 15 strong team representing the Cycling Ireland Women's Commission incl Anne Coleman, Susie Mitchell, Aisling Conlon, Sofie Loscher and new signing Claire Ni Reachtagain. 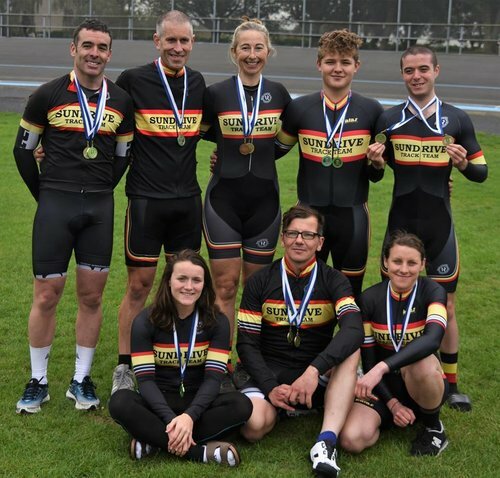 A fantastic medal-laden finale to the season for Sundrive Track Team riders at the Leinster Champs despite a cold & dreary day. 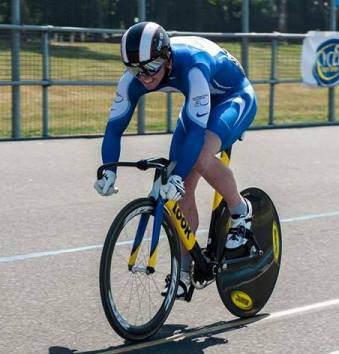 U-16 rider, Thomas Pickford, took silver & bronze in the 500TT & Scratch race. 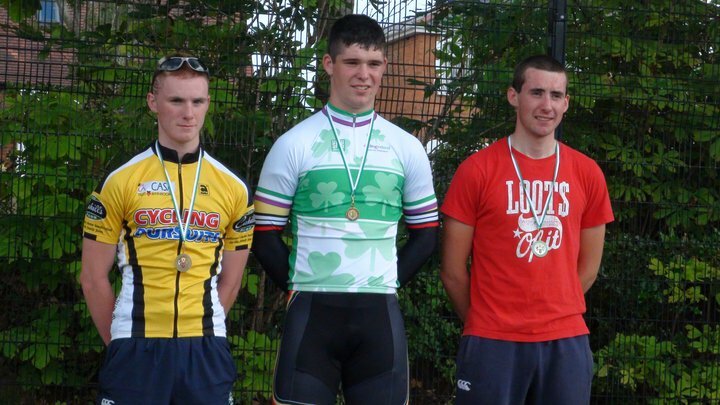 Robert Kiely secured double-bronze in the Junior 500TT & Sratch race. 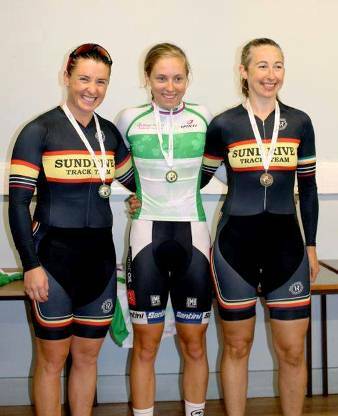 Eimer Mc Mullen took gold in the Ladies 500TT, with Susie Mitchel taking bronze. The ladies Scratch race provided a barn-storming three-up sprint to the line with Sofie Loscher & Susie Mitchell just getting edged out of gold. 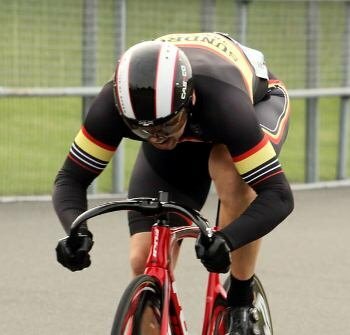 John Caffrey capped a great season with a clean sweep in the Masters' 500TT & Scratch race. Colm Sevastopolou took silver in the Masters' 500TT, with Thomas Kabs rounding out an all-Sundrive podium. Thomas Kabs doubled-up with bronze also in the Masters' Scratch race. Congrats to all our medal winners! Susie showed her track talents with a well timed sprint finishing some lengths clear from where the remaining places which were less than half a wheel apart. The race was hampered by the windy conditions and nobody ever got more than a few lenghts clear and she was happy enough to take it to the sprint. She placed herself well going into the last corner some 300m from the line to ensure she was on the side of the road she wanted to sprint from. Headwind finish, so final launch came with about 100m to go with a second kick some 50m from the line ensured a clear win! Silver for Eimear Moran and Bronze for Susie Mitchell in the 2016 National Omnium. Regrefully the event was called after just 3 events (due to severe weather) with Eimear just six points behind the winner Josie Knight, and Susie a further 6 points back. Two strong events for Eimear coming on the Sunday might have left he going into the points race a mere 2 points in arrears and the points race being a strong event for Susie would have made for an interesting finish. No denying the class of Josie but the Sundrive Ladies would have enjoyed fighting it out all the way! Sofie Loscher using her track prowess to power home in her debut Ladies Crit Race earning instant promotion to the A category! Update : Sofie followed up with being promoted to A group where she placed 5th in her first week and 2nd the following week! Dublin Thunders set to Roar! 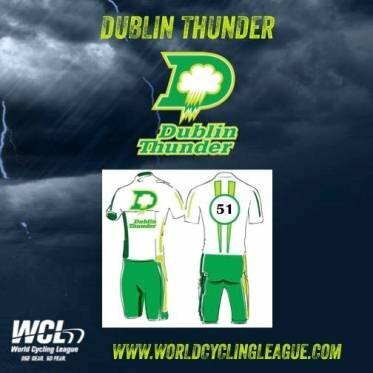 Sundrive Track Team members Eamonn Byrne, Eimear Moran and Susie Mitchell will be part of a 7 person team competing as 'Dublin Thunder' in the inaugural event of the World Cycling League in Carson, California om 18th and 19th of March. They will be joined by Con Collis (UCD) , Eoin Morten (UCD), Fintan Ryan (DID) and Lydia Gurley (Bonito). Hugh Byrne will be travelling also as Team Manager. Susie Mitchell had a most successful World Masters campaign making the podium in a five events entered and finishing the week by taking the World Title in her final event the points race. After a superb display of tactics, control and sprinting, it still came down to the final sprint of the night! Her tally for the week was two Silvers (Pursuit and Team Pursuit) and two Bronze (Scratch and 500) to add to the Gold in the points race. Paul Armstrong reaped the benefits of a a years hard work and made the trip home from Poland worthwhile taking the Gold in his targeted event, the 40-49 Sprint. He also took Bronze in the 750m TT. He can to the event with much increased top speed and greater stamina to ensure he would be wearing the National Champions skinsuit at the track in Pruzzcow over the winter months! 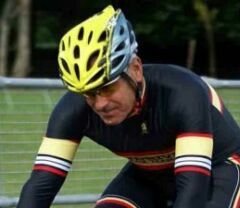 Terry Cromer was the dominant rider in the 60+ category taking three of the four titles on offer and scoring silver in the remaining one. He can now wear the national champions kit in practically every event on the track! Hugh Byrne took a Bronze in the 500m TT (50-59). New kit for Paul & Terry! 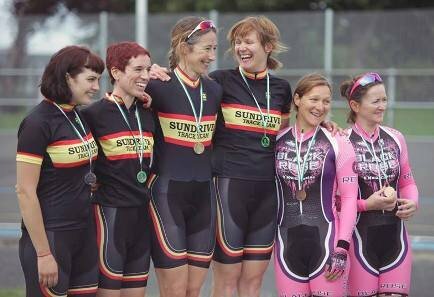 Sundrive Ladies dominated proceeding at the Senior National Track Championships taking ten of the twelve medals on offer. 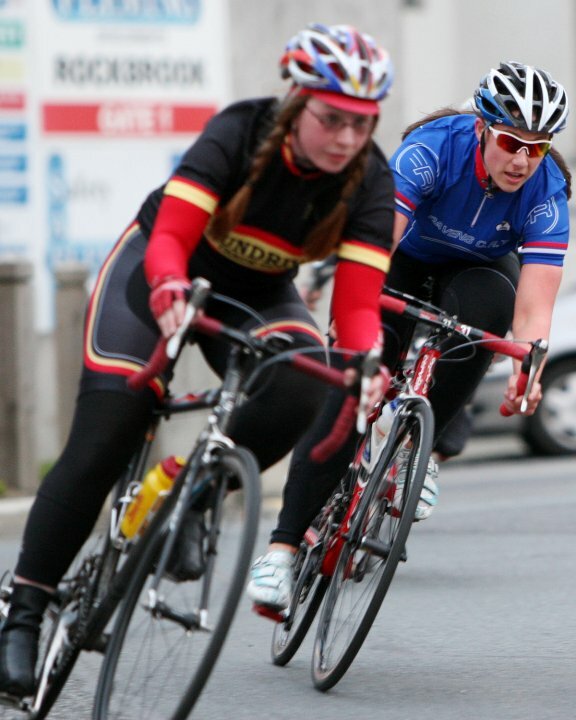 Eimear Moran made a clean sweep of the Gold, with Susie Mitchell occupying the Silver Medal position. Michelle Mullen took Bronze in the Sprint and 500m TT. Eimear also nabbed an National Outdoor Record in the Flying 200 and her performances have brought her to the attention of the National Squad. 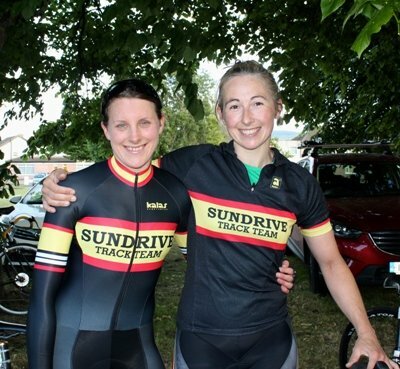 A dominant display by the Sundrive Track Team Ladies, taking 1st, 2nd and 3rd in the Keirin and filling the top two slots on the Team Sprint podium. Double Gold for Eimear Moran, who told Gold in the Team Sprint in a new National Record time with her partner Michelle Mullen, despite the fact that defending Champions improved their previous National best by .4 sec. Our Men's Teams secured Silver in the Team Sprint , while despite all the work our Team Pursuit Squad (also defending champions) put in, things didn't go well on the day and had to settle for 4th. Autumn League Starts Wed July 1st and runs for 9 more Weeks!!! Big European Sprint win for Eoin Mullen! Sundrive Track Team retained the Men’s title despite the absence of Eoin Mullen who was recovering from a crash in the Keirin at the U23 Europeans where he secured a bronze in the Sprint. Nothing too serious, just a dead leg and he should be recovered by the Senior C/ship at the end of the month. The experience of Keith Meghan, together Hugo Brennan and Eamonn Byrne was enough to secure the win. Indeed Keith Meghan was a late call into the team as he has been working on Team Pursuit this season. 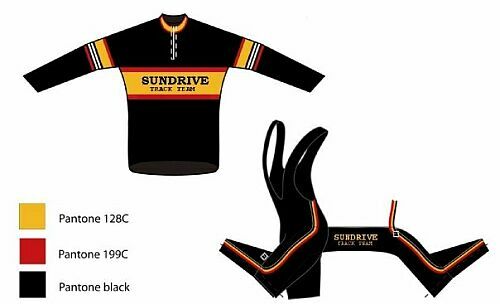 Keith has been a member of every winning Sundrive Team Sprint team since the inaugural event. Keith was also a member of the Sundrive Team Pursuit squad who narrowly deposed the Kilcullen team who have been champions for the past 3 years. There was a huge body of work done in preparation for this event and full credit to Keith, Gwyn, Matt and Murt for a superb team performance. Congratulations to Susie Mitchel on winning the National Olympic Omnium C/ship with wins in Points ,Pursuit and Elimination while Sarah Gunn secured bronze with wins in both the Flying Lap and the 500m TT. 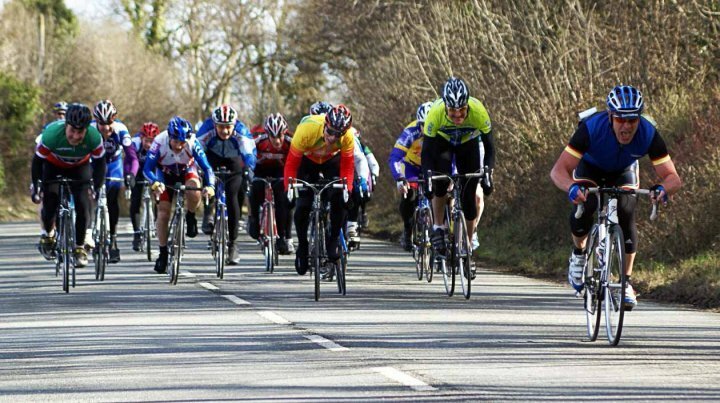 Our club was extra pleased in that we fielded 6 riders in this event. A super strong performance by Susie particularily in the points race and also with a new personal best in the pursuit by 4 seconds. Sarah also posted impressive personal best times in both 500 and flying laps. 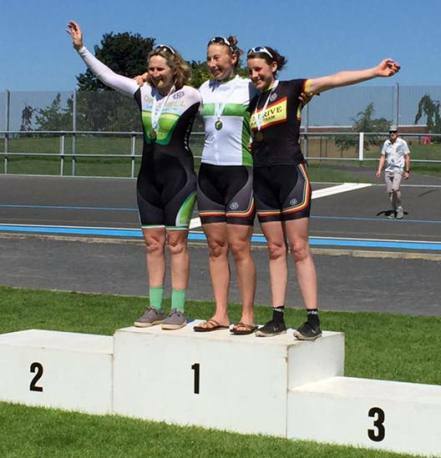 It was another very strong performance from our members at the annual Duane Delaney Memorial Track GP at Sundrive Velodrome. Hugo Brennan was the winner of the A cat group and the only rider on the day to do a sub 12 second flying 200m TT with a whopping time of 11.94, followed hot on his heels by his team mate Eamonn Byrne in 2nd place with a time of 12.25 . Hugo also took wins in the Kilo Dash and 500m TT. 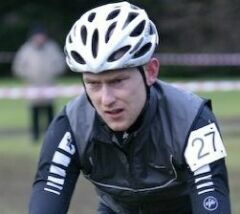 In the B cat, Paul Armstrong took 2nd, Susie Mitchell 3rd, Joe Benson 4th and Dave Sherlock 6th. In the C cat, David Mullin took 2nd, Richie Grant 3rd. 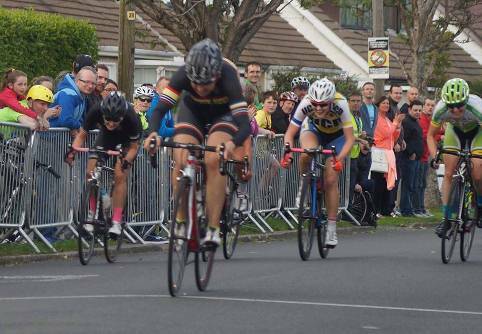 In the Women cat, Sarah Gunn took 1st with Natalie Grieve and Aine McBride 5th & 6th. Well done to all and thanks to everyone who contributed to a fantastic days racing as well as Ravens CC whom the event is ran on behalf of. Sundrive's Susie Mitchell narrowly missed out on the perfect end to the perfect season with taking the silver medal in the 2k Pursuit. Once again she went into the final as underdog trailing her opponent by nearly two seconds, and once again she upped her performance in the final with a crisper start and was neck and neck for most of the race only to tie up slightly in the last lap with victory going to her Austrailan opponent by half a second - a reversal of the World Championship result from 2012. Earlier in the week she had paired up with Kate Rudd (Black Rose) to have their first crack at Team Sprint indoors finishing with a respectable time and a 5th spot. Terry Cromer placed 4th in both the Sprint and 500 TT in the 60-64 category and although not having a medal to show for it, he was quite pleased with the level of his performance most especially his tactical awareness and execution in the match sprints. Susie capped off an excellent week by also taking Silver in the points race, and this was especially pleasing as it was her first points race on the boards and bodes well for another medal prospect in 2014. 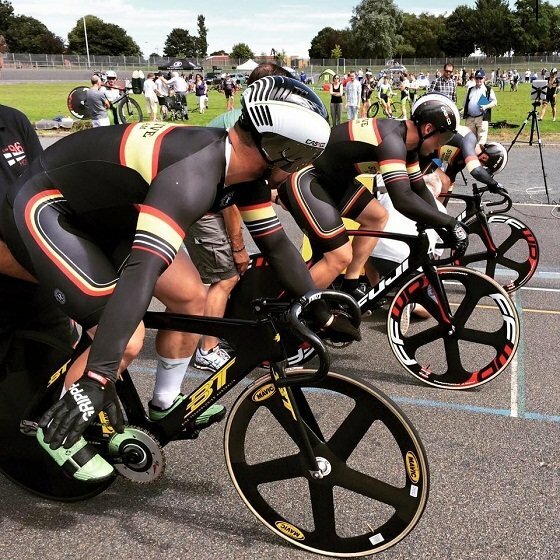 Last week saw a small contingent of Irish riders compete in the European Masters Track Championship in Newport Wales. The timing of the event for some was not ideal coming just days after an exhausting weekend racing (for our female riders) at the Senior Nationals, but the prospect of getting some much needed time on the boards with a month to go to the World Masters was a prospect that had to be taken advantage of. The week started with Susie Mitchell competing in the Standing Start 500m TT and although posted a personal best, finished just outside the medals in 4th . 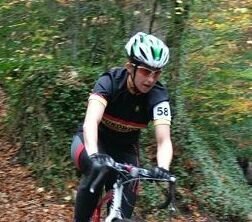 Reduced entry levels compared to the world event meant that some age categories were combined which placed the legend that is Janet Birkmyre into the mix for our female riders to contend with. In the 3k pursuit Mitchell was drawn against the 18 times World Champion Birkmyre in the qualifying round and made the Gold/Silver ride off (2.36.922) with a time close to her winning time from the Worlds last year. She finished one second behind Birkmyre who lead from the start, but with this her first ride on the boards this year and first outing over this distance, all bodes well for the defence of her title in October. In the final Mitchell took the race to her GB opponent with a more aggressive start and was ahead for 4 of the six laps, however Birkmyre made her experience count and came with a late rush and posted a lifetime best to take the title. With speed work to come over next few weeks and having knocked another second off (2.35.920) in the final Mitchell was quite pleased with her performance and of course the Silver medal. 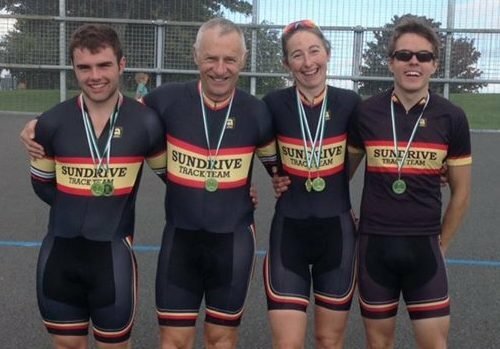 Sundrive Track Team showed why they are the 'Neenan Travel Track Team of the Year' with a dominant display in the technical power event that is the 500m Standing Start TT with four Golds - Eoin Healy (Sen), Terry Cromer (Vet) , Susie Mitchell (Women) and Hugo Brennan (Jun) . 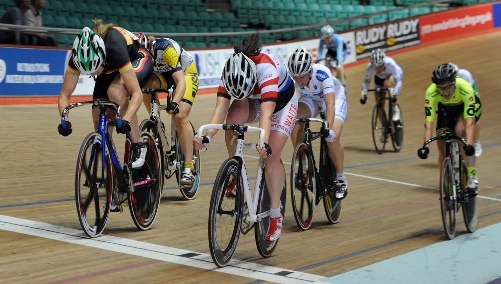 Susie Mitchell added a Gold in the Scratch Race, with her Team Sprint partner Sarah Gunn taking the Silver in the 500. All four delivering personal bests also! Eoin Mullen took a break from traininig in Switzerland and successfully defended his Men's Senior Sprint Title with relative ease. It is important to him to have right to wear his National Champions Jersey at International Competition and he is always proud to compete in his Sundrive colours. Most of the year he competes in the colours of the UCI. He added the rain delayed Keirn title (deferred from earlier in the year) but opted not to compete in the Kilo as he was starting to come down with a cold and he didn't want to take any eadge of his Keirin later in the day. Susie Mitchell replicated her medal haul from 2013 with a Bronze in the Pursuit, and a Silver in the 500 in yet again another personal best as she etches ever closer to the outdoor record. Some more work to do there as on the day Lydia Boyle (Look Mum no Hands) set an new best time! Also Sarah Gunn set PBs in both the Sprint and 500 finishing 4th in both and equipped herself quite well in the match sprints. One to watch!! 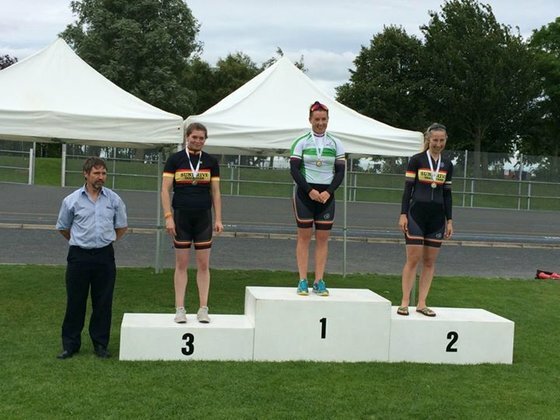 Another stroing showing from the Mullen clan, with Michelle taking both the Sprint and Standing Start 500m titles in the Junior Women category setting a National Record for the Flying 200 in the Sprint qualifier. Hugo Brennan dipped under 12 sec for the first time, further bettering his Stadium Junior Record and showing what a year of strenght and conditioning can do when he was dominant in the Sprint, winning his first ever National Title. Team Sprint - clean sweep! 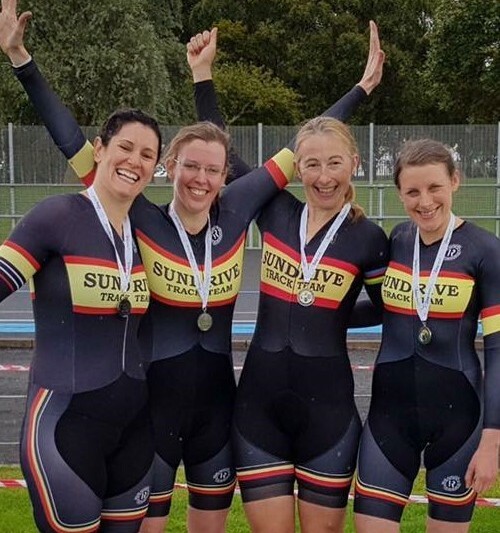 Sundrive enjoyed probably its most successful day ever on the track winning both Men and Women's Team Sprint National Championships and breaking both National Records enroute. To put icing on the cake two of Sundrive's newest riders Cliona Murray and Aine McBride took silver in a time that would have won the event last year. Susie Mitchell also won the Women's Keirin, with Sarah in 3rd, while the men were equal 3rd in the Team Pursuit. A dominant display by Sundrive's Susie Mitchell, saw her win both the Women's Section and the Overall in the Duane Delaney Track Grand Prix, the opening event of the 2013 domestic track season. 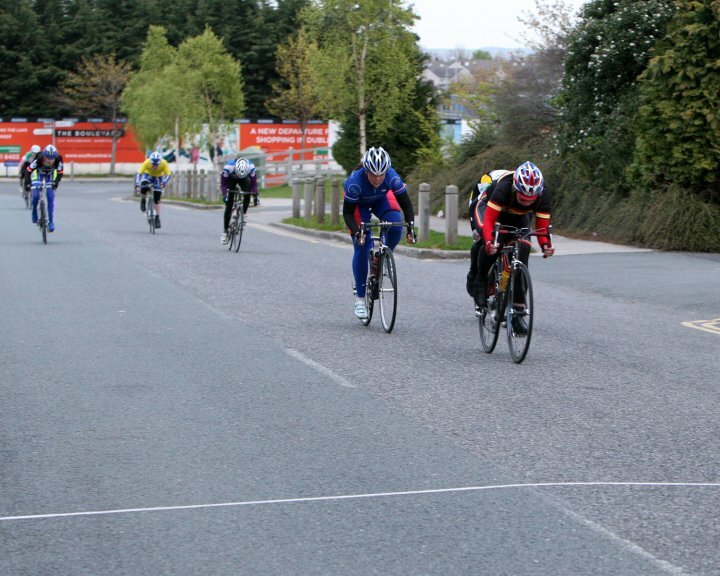 Ray Grogan won a fiercely contested C section, while Terry Cromer was 3rd B. 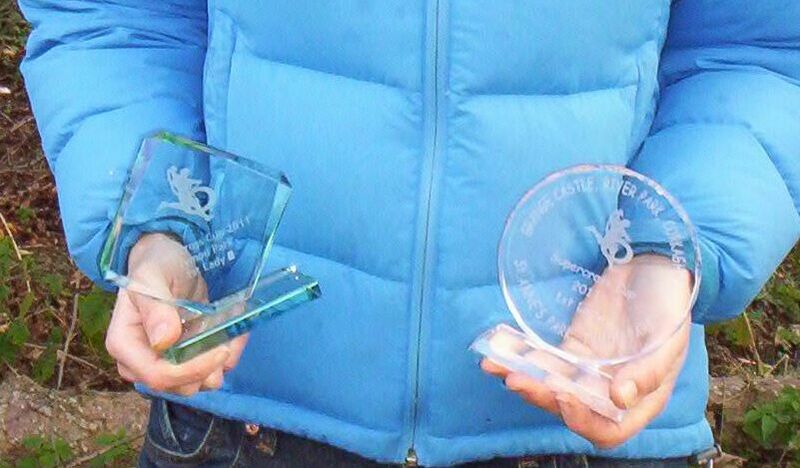 This is a unique event in the calendar where riders compete within their own section over 2 times and 2 mass start events, but overall honours going the rider who amasses the most point, irrespective of which section they are competing in. 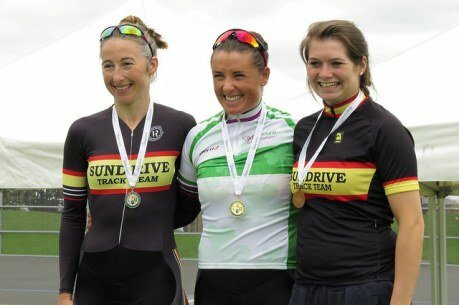 A super start to the season with so many Sundrive riders going well! Sundrive's Susie Mitchell added another National Medal to her tally when she won Bronze in 2013 National Track Championsips in a mudfest in Dundalk. 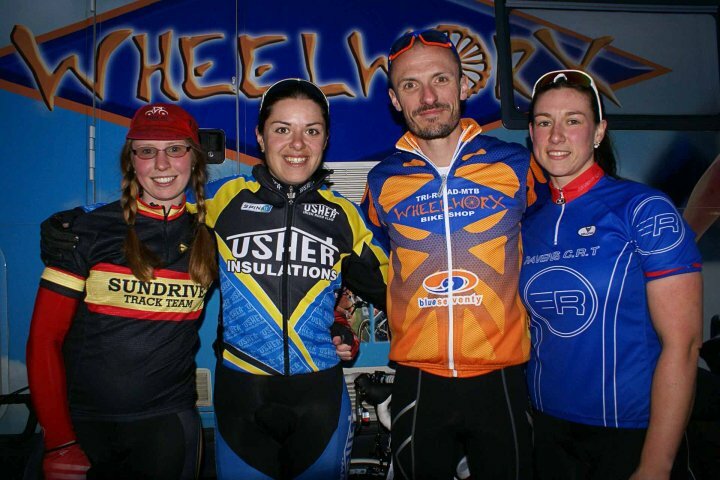 She was in esteemed company with the win going to Fran Meehan (Tullamore) from Melanie Spath (Cycloeways). Susie was ren seconds down on Clair Oakely after lap one and had pulled this back to 4 seconds after lap 2. Her strength and conditioning gym work very much stood to her in the extremely muddy conditions and saw an opportunity to get past clair on lap 3 and was starting to pull clear at the half way stage. This result was quite significant for Susie as last years event marked the watershed in her pregnancy when she had sropped racing despite her good form in the winter races. 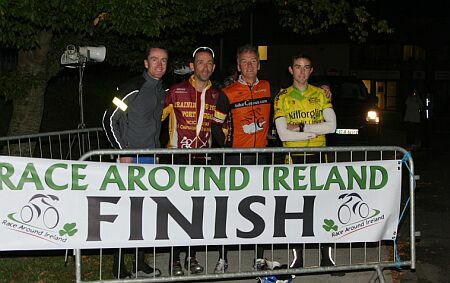 Sundrive were well represented at these Nationals with Keith Meghan (Senior) , Ger McNamara (Support Race), Greg Campbell (Veteran) and Caroline Martinez (Women). 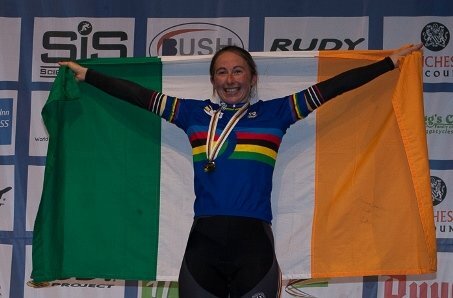 It is not without irony that when Irish cycling should be celebrating our latest World Champion, that the date coincides with the breaking of the Lance Armstrong story. Certainly over shadowed once again its news about doping that people are more interested in reading about. Susie Mitchell (Sundrive Track Team), took the Gold in the Women's 35-39 2km Pursuit when she overcame a 2 second deficit from the qualifying round. Yes indeed we are more interested in who cheated some years back than celebrating what is a remarkable achievement from a young woman who has risen to this pinnacle just five months after giving birth. This fact provides inspiration for all women, but even ignoring that, this is a remarkable athletic achievement in what is a relatively short time in the sport. Superb double Gold for Sean Curtis with many of our riders inclding Susie, Hugh and Hugo knocking chunks off the personal best timesand indeed Susie addiing a Leinster Gold to her four Senior National medals for the 2012 season. Very impressive display from 1st Year Junior Hugo Brennan in his first year racing. Sundrive Sprinter Eoin Mullen emphasised his dominance to take both the Sprint and the Kilo, making it a total of four out of four Sprint Events for 2012. Indeed he posted the fastest ever time recorded at the Sundrive Track in qualifying with a time of 10.92 beating previous best by 8/10ths of a second. Sean Curtis added a bronze in the Men's Pursuit while surprise of the weekend was the huge improvement by Susie Mitchell to secure bronze in the womens event. She then posted a new personal best in the 500 to add a silver to her tally. 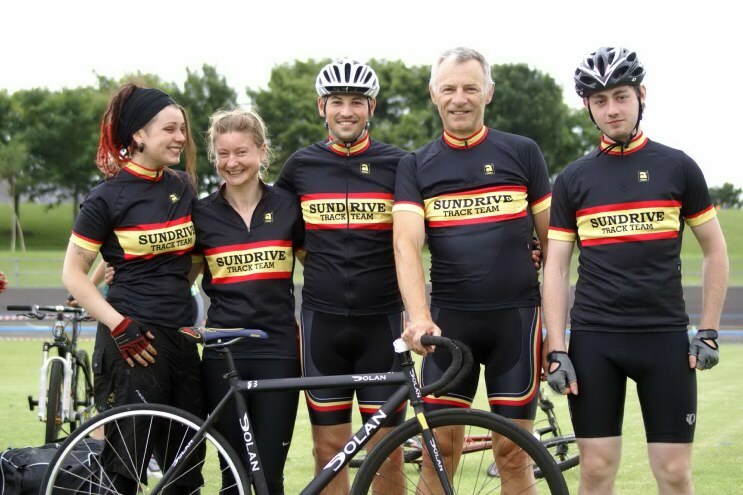 All the squad training paid off when Sundrive took both titles with both Men and Women's Team secured Gold. This a a feat repeated from 2009 but the Women's event was only a Demostration Level at this stage. The men's team were lead out by Keith Meghan, followed by Eoin Mullen and Donal Bailey. Our dominance at sprint was followed up when Sarah Gunn and Susie Mitchell took the Womens title. 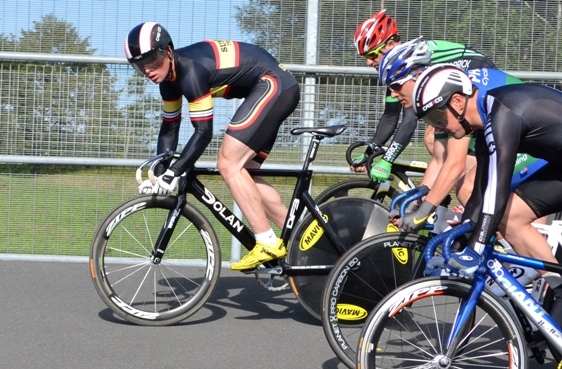 Eoin added a second title in his first year as a senior when he won the Keirin. 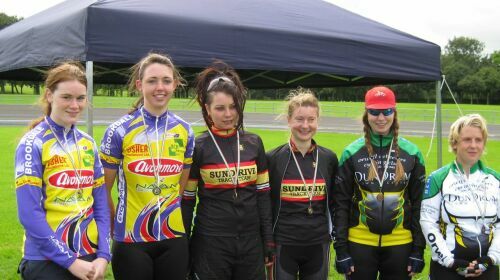 Our ladies also took Silver in the Womens Team Pusuit (Demo) and Susie added a bronze in the Womens Keirin (Demo). Our Men's Team showed great proise in the Team Pursuit and all the squad sessions were quite evident when both Men & Women's teams showed great skills in the technical aspects of all events. Also bonus was a hatful of points in the Neenan Travel Track Team of the Year - a goal we set as a club at the start of the season. 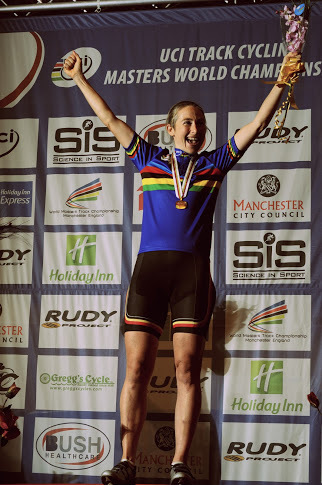 A remarkable achievement from Sundrive Masters rider, Susie Mitchell when she won a Bronze medal in the Women's Olympic Omnium Championship just 5 weeks after giving birth to baby Tori. with consistant scoring across the six disciplines. She was in joint 4th place after Day 1 (Flying 250, Points and Elimination race) and a strong pursuit (3ed) starting Day 2 put he is a good position with just the Scratch and 500m to come. 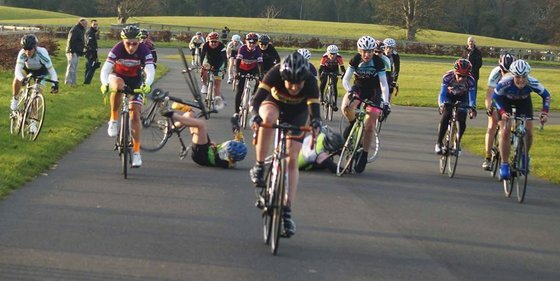 A very tactically aware scratch race saw her launch an attach from three lpas out to go clear to take a win in the scrach to put he in a medal winning position coming to the 500m and 3rd in this was enough to secure the bronze. Eoin Mullen : World Cup Debut! 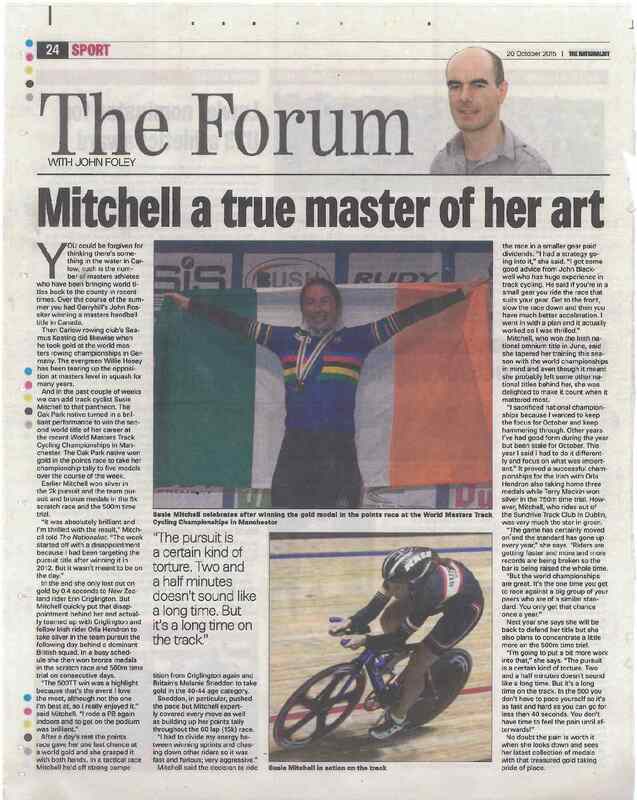 Well the day we all could see coming from way back has finally arrived when Sundrive sprinter Eoin Mullen takes to the world stage in the London round of the UCI Track World Cup. This is a day we could see coming from a long way back, even before he won his first Junior title. 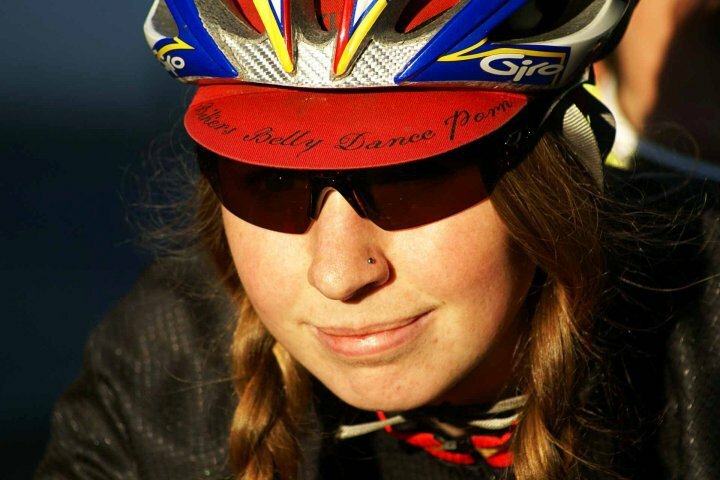 He has come such a long way in such a relatively short period of time and that improvement has been accelerated greatly by being awarded a scholarship with the UCI. This weekend he will be competing in all three powerhouse events - Kilo, Keirin and Sprint. At eighteen years of age and already the Junior and Senior Irish Sprint record holder, there is great potential there and this is only the beginning for him!! Sundrive rider Susie Mitchell continued on her winning ways with a win in the final round of the Steevens Supercross Cup in Tymon Park. That made it 4 wins in a row which sealed overall victoty in the Series. Susie will now continue with building he stamina base for her primary objective - Track. Three out of three for Susie when she took first Lady at the 4th Round of The Steevens Supercross Cup at St Annes Park today. She achieved this despite a heavy fall on gravel which left her with a deep cuts on her knee. She remounted immediately as was not willing to surrender her lead and goes into the final round in Tymon Park on December 3rd in prime position! Eoin’s times were set at the European Championships in Anadia, Portugal (July) and the Junior World Championships in Moscow, Russia (August). Another 'Mullen' National Championship at the National Youth Track Championships where the younger sister of Track Sprinter, Michelle Mullen took the Women's U16 500m TT title. She also posted the fastest Flying 200 qualifier in her section and dispatched Rachael Kaye Mellor (Orwell) to reach the Sprint final. This final, and indeed all the medal ride offs in the sprint section were deferred to September 11th due to heavy rain and will be run preceeding the Interprovincial set for that date. Also last weekend Noel Tonge added another Silver to the 5 he won at the IVCA Track Championship when he took the bunch sprint in his section in the IVCA Age Related Road Championship with one rider haven gone clear earlier in the race. Sundrive Junior Sprinter , Eoin Mullen has broken the Junior KiIo Record previously held by Felix English improving the time by over 2 seconds as he placed 5th in the European Championships in Anadia, Portugal with a time of 1.05.565 sec. Perhaps even more noteworthy is that he also broke both the Junior and Senior record for the Flying 200 with a time of 10.565. The previous record was set in Moscow by former multiple National Sprint Champion Kieran Leahy in 2007. He lost out in the Quarter Finals but wont the 5-8 sprint. It is hugely significant that a Junior rider has now logged the fastest ever sprint qualifying time for an Irish rider and it bodes well for his future at International level. 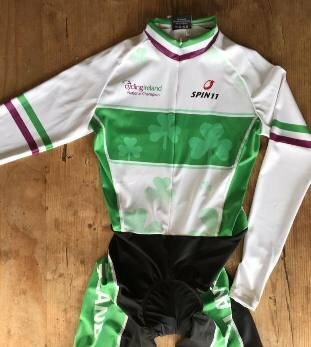 Sundrive Sprnter Eoin Mullen returned from Aigle where is on a sprint scolarship with the UCI to contest his home Championship. No suprise in him posting the fastest qualifying 200 time but Matthew Adair wasn't rolling over in the final and took the fight to Eoin but faster is faster and when that is combined with experience there was only ever going to be one result. Eoin also added the Junior Kilo title before flying back to Switzerland to put the finishing touches to his preperation for the Junior European Track Chamionships where he will contest Sprint, Kil and Keirin. 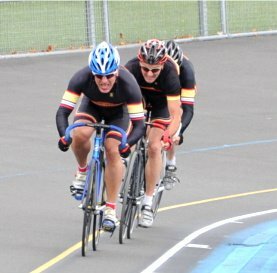 Meanwhile the clubs Veteran riders ran riot in the IVCA Masters taking 11 medals (2 Gold, 7 Silver and 3 Bronze) finishing with a Silver in the 135+ Team Sprint. This was even more special as it was the only team comprised of riders from the same club and posted a respectable time enroute! 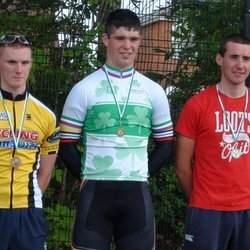 Sundrive Sprinter Eoin Mullen has been selected for Ireland to ride in the European Jun/U23 Track C/ships 26-31 July 2011, Anadia, Portugal. Eoin will travel directly fom Aigle where he has spent the last two months in a Sprint Scholarship under the direction of Fredrique Magne and World Cycling Centre sprint coaches and has put together a number of excellent performances against top class International oppositionin his build up to these championships. He qualified 2nd fastest and placed top 3 in events in both France and Germany and is gaining invaluable experience along the way. His times have already taken the National Junior record set by Felix English, and times he has achieved outdoors have bettered the senior outdoor record by a significant amount. We wish him well and would be confident that he will continuesto improve through the opportunity he has been given. Eoin Mullen - Records Tumble! Sundrive Sprinter Eoin Mullen who is the current Junior sprint champion continues to progress well from his time training at the UCI centre in Aigle, Switzerland. He had placed 4th in the White Hope Trophy in Manchester prior to his departure and his performances have gone from strength to strength as new now races in the colours of the UCI where he is currently training. 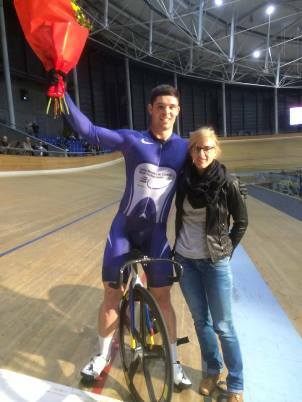 His first outing was was in the Fenioux Trophy in the Georges Preveral Velodrome where he posted the 2nd fastest 200 time of 11.324sec which was a new National Outdoor record on the 333m concrete track. He placed 3rd overall in the sprint rounds. His latest outing saw him compete in the final round of the Fenioux Trophy in Hyreres where he further bettered his 200 time to a new Irish Junior Record of 10.920 sec on the 250m wooden track. He placed 2nd overall in the sprint competion but after getting himself to second wheel in the keirin, he crashed out half a lap from the bell but escaped with minor cuts and bruises. The incident has left him undetered and looking forward to more hard work and the rewards that it brings under his coaches at the UCI. I have posted all the relevant forms needed for membership renewal on the 'Contact' section of this website and all options of how to do this are listed on that page. Obviously our track has been repaired to our satisfaction...... just in time for the snow! 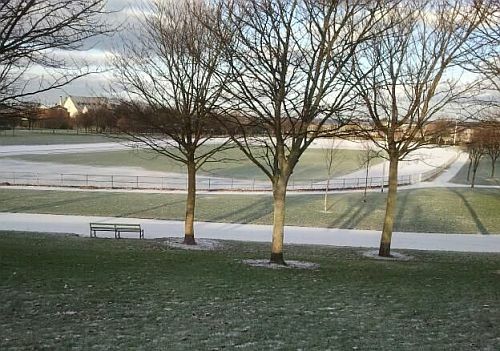 We will be back training on the track in January once this artic weather passes. 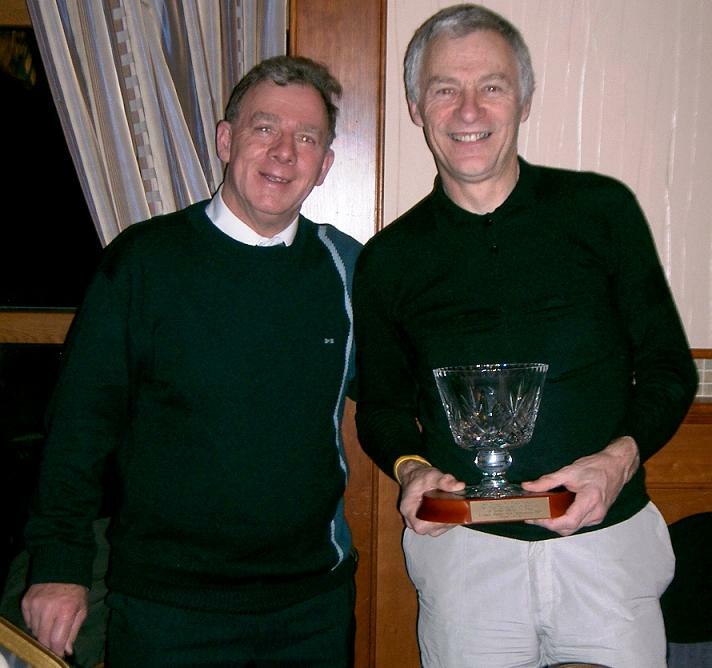 In the interim I have e-mailed all members Terry Cromer's 'Training Update No 2' which covers what you should be doing this time of year with particular reference to training indoors. If anyone hasn't received this, please e-mail me and I will send it on to you. We would hope to be in our our new club house which we share with the local football club come January and that will increase our bad weather options. Club sign on day Jan 20th (details closer to date) and I intend to organise a pre season social around mid February or sooner. Sunday road training has been going well with a committed and regular group doing the 3 hour spins. 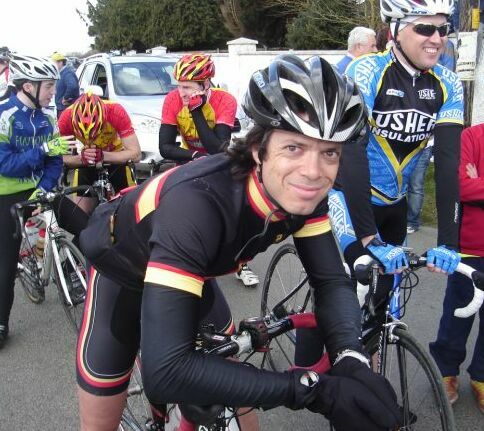 Three of our riders Keith Meghan, Greg Campbell and myself have been regulars at the Cyclo races. I also was happy to accept our National Gold Medals on behalf of our Vets Omnium Champion and our Team Sprint, while Eoin Mullen was present at the Cycling Ireland dinner to accept his Gold and Silver in person. It was gratifying to see how well the track was represented at that dinner and indeed even to see that road medals also went to riders with strong track pedigree. Recently also we had four of our rising stars at the development camp in Chaleville and we would hope to go to the follow up camp in Omagh in February. On the coaching side we saw Andrea & Sean complete a Foundation Road Coaching course and Alec complete Level 1. 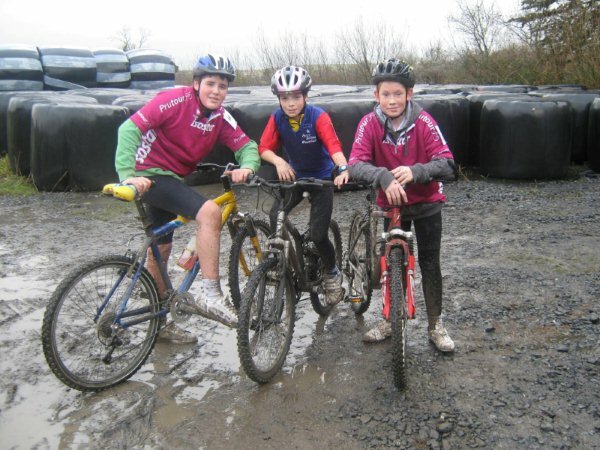 Three more riders will partake in the weather rescheduled Lev 1 in February. Also we are presently pulling together the much awaited Foundation Track Course which will be presented by 'Track Guru' Mark Kiely. We then hope to organise a higher level track coaching course. It will cost tens of thousands of euro to repair the damage vandals caused to the country's only velodrome cycle track, which is located on the Southside. The track at Eamon Ceannt Stadium, Sundrive Park in Crumlin was completed last year at a cost of e600,000, which was funded by the Department of Arts, Sport and Tourism. Hugh Byrne, the PRO for Track Cycling Ireland, who is also a member of the Sundrive Track Cycling Club, said that on the night of Tuesday, September 14, a number of vandals hauled two plastic roadwork barriers onto the track and set them alight. “They took the barriers and placed them 10 metres apart before setting fire to them and they melted into the tarmac,” he said. “This is not going to stop track cycling here but the question is whether we can get it back to the way it was. 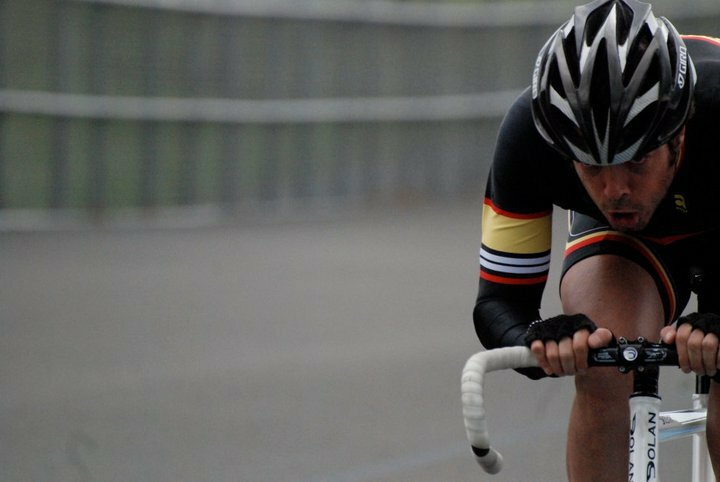 Track cycling requires an extremely smooth surface, which is made with a special kind of tarmac to allow water to drain quickly. Mr Byrne said that by their actions the vandals had not only affected the Sundrive Club but also a wide range of people who also use the track. “We don't know who did this or why they did it,” he said. “They are not taking into consideration the range of people who they are affecting. 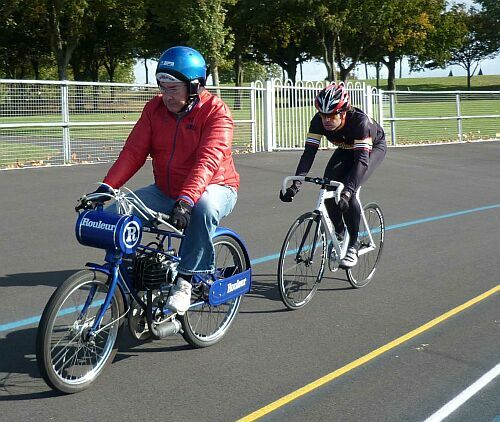 “Last Saturday was supposed to be the national tandem championships. That is where blind athletes are on the back and the sighted athletes are on the front of the bikes. The track was resurfaced last year by the city council with a view to boosting Ireland's hopes for producing a competitive cycling team. The Sundrive Club was primarily established to cater for local youth. Mr Byrne has appealed to anyone who may know who was responsible for the act of vandalism to dissuade them from repeating it. “If we go down the road of demonising whoever has done this it will just encourage them to do it again,” he argued. The original date for the IVCA Track C/ships was rained off in late September and our rescheduled date fell foul of the track being damaged at Sundrive. A timely completion of the new outdoor 250m track in Kanturk gave the IVCA an opportunity to extend its influence and also for our riders to try out the new track. This worked out to be an excent venture with medalists coming from all four provinces, truly making it a National Championship. The Sundrive club was ably represented by Terry Cromer, Hugh Byrne and John Coates in the 50-59 age category in which Terry dominated taking all four available golds in the category and also set the fastest 200 on the day which was no mean feat on a difficult track to come to grips with. Also very worthy of praise was Sundrives premier female rider Andrea Fagan who came down and took charge of runnig the event ably assisted by Orwells Dave Tansey. 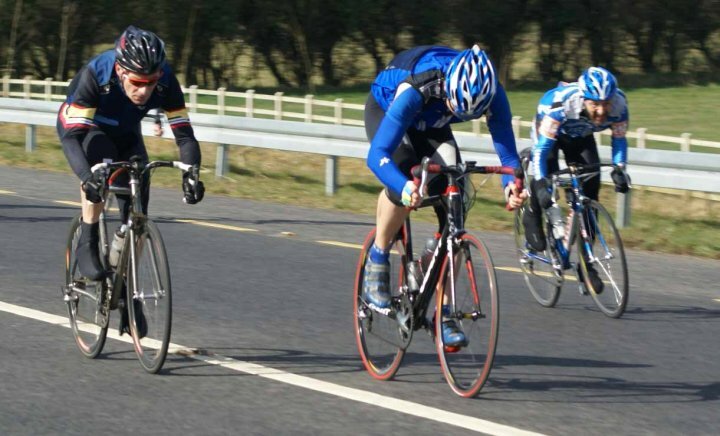 Sean Curtis finished off and excellent season on both road and track by winning the Leinster Championship and the inaugural Senior Leinster Track Championships in the Veteran category. He launched an early attack and got clear with Sorrento Junior Enda Ryan. This move worked well leaving the fancied sprinters back in the pack none to anxious to blunt their finish with a determined chase as Sean extended his advantage. 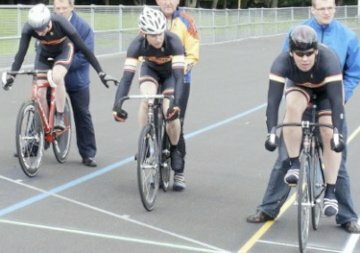 Sean had also won the Autumn Track league with his trademark long attacks and had the ability to sustain the move and was able to hold off late counters by Brendan and Dave Peelo. Sundrive Junior, Eoin Mullen also posted a superfast time to take the 500m title but although gettng faster everytime he takes to the track, fell fractions short of the current National Junior record which he will surely add soon to his national 200 one. Next year we look forward to fielding four riders in the Junior category and we fully intend to dominate here! 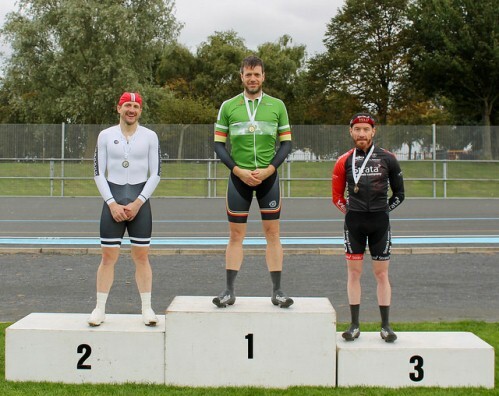 Our club was well represented in the National Track Championships with best of the senior riders, Paul Doyle, a former national champion at trhe event placing 5th in the Kilo. Paul is aldo the current Vets Track Omnium Champion and is the anchor leg on the Team Sprint squad who are the current National Champions at that event. Andrea Fagan placed 4th in the Women's Sprint but our best results came from our junior ranks with Eoin Healy placing 5th and Eoin Mullen 2nd 3/10sec behind the former national record holder David Neill (Madigan) in the 500m Standing Start. Eoin went one better in the Sprint betaing David 2-0 in the final in a breathtaking closely fought final seeting a new National Junior Record in the Flying 200 qualifier on the way.